Starting on Sept. 23, the archdiocesan Office of Deacon Formation will start a series of meetings to help interested men learn more about the diaconate and discern if God might be calling them to this vocation. The seven sessions will occur on a monthly basis at locations across central and southern Indiana, and will be held from 2 p.m. to 4 p.m. The learning and discernment that each meeting will facilitate will lead to the formation of the archdiocese’s third class of deacon aspirants that will begin its formation in August 2013. Men potentially interested in applying to be a part of the class are asked to attend all sessions. Deacon Blandford said that he would then expect the number of men attending subsequent sessions to be smaller. He said the maximum number of men in the new class will be 25. Each session will cover various topics related to the diaconate—the diaconate in the Archdiocese of Indianapolis, the uniqueness of the vocation, its relationship to family and ministry, and the various spheres of deacon formation. Several deacons and their wives will give presentations at the meetings. Deacon Blandford said that wives of potential deacon candidates should attend the sessions with them. 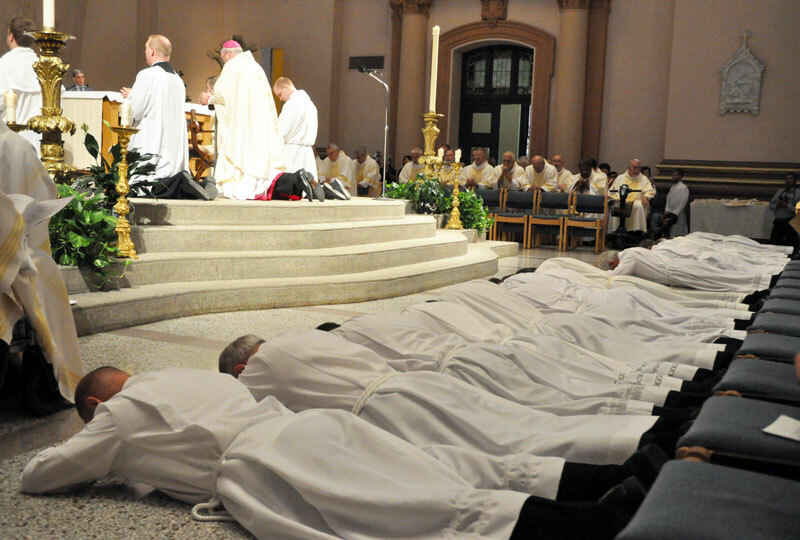 The first two times that information sessions about the diaconate were held in the archdiocese there were very few permanent deacons ministering at parishes. 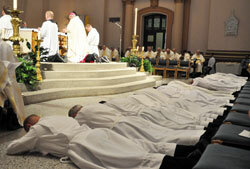 So few of the men attending them had had any experience of deacons in the life of their parishes. This time will be different since two classes of deacons have been ordained, and are ministering at parishes across central and southern Indiana. Deacon Blandford said that men from parishes that have not yet had a deacon assigned to them are welcome to attend the sessions and apply to become an aspirant. He said he learned about the permanent diaconate on his own in the mid-1990s, several years before it was implemented in the archdiocese. At the time, Deacon Blandford, who also serves as parish life coordinator of St. Andrew the Apostle Parish in Indianapolis, said he was doing research on the diaconate for a Rite of Christian Initiation of Adults presentation. Deacon Blandford is looking forward to meeting men who are now in the position he was in years ago—interested in learning more about the diaconate and wondering if God might be calling them to it. 800-382-9836, ext. 1492, or send an e-mail to kblandford@archindy.org. Do not call the host parishes for information about the meetings.